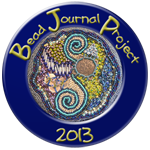 Didi's beaded goodies: Got Second Place & Catching Up. Got Second Place & Catching Up. This past week was a busy one with catching up with some embroidery projects and friends. During the week I had book club and institute. At institute they finally talked me onto the committee and I am the vice president, which means Valma best not be away. I don't really want any more responsibility as I still have a couple of other positions on boards that I undertake. also great celebration as I managed to take some flowers and I got second prize for one of the roses which I picked from the neighbour's garden. Friday – lunch date was great and I nearly had to bring a little girl back to work with me, though the washing fairy did go to my place and bring in the washing before the rain arrived. What wonderful friends I have. Saturday was a busy day with sit’n’stitch at my place and we had an excellent turnout of guild members during the day. A variety of projects were being stitched with some older projects brought out of the closet including our Fisherton-del-la-mer mat. This is a nice stitch and I think I will get mine out for the next couple of weeks. I progressed a bit more on my nametag (needs to be ready for April 5th) and now have to work out my alphabet for my name. The next bout of stitching that I have done, is my Christmas wreath but I think I will be pulling out the last lot of stitching as the thread is very bulky and I am not sure I like it. I will finish the rest of that particular parcel this week so then I can judge. Sunday was a day of rest. A leisurely start to the day saw the laundry completed and kitchen duty done then just as I was off to walk to mum’s she arrived to collect me for our lunch and afternoon out. We met with several of the institute members at the Windsor Cafe in Inglewood for lunch. I decided on the French toast option along with Kay and it was delicious. Bacon, maple syrup, berries and lovely toast which was actually very filling. 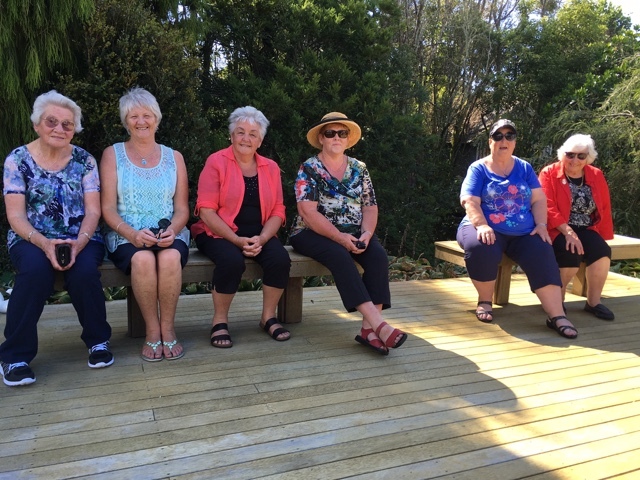 Karen and Marie joined us and we took off on our tour of Inglewood gardens. These were private gardens and wonderfully done. All had lovely areas and the warm weather made for very pleasant wandering through shade, sun, over bridges, around ponds and through a native walk. A cup of tea stop at our second location was a delight and raffles were purchased but no I didn’t win any of them. At our last stop we caught up with an old friend of my sisters so that was a nice surprise. Back home and the evening was spent in my own garden planting some flax grasses that I had purchased and digging up a bucket of potatoes which I made into potato salad. A busy end to the weekend. I am now currently looking forward to a nice lunch and a leisurely long weekend, hopefully doing some nice shopping, walking, eating and visiting.